Lebua is an all-suite hotel where every one of our 357 suites are designed to offer you breathtaking vistas of Bangkok and the Chao Phraya river. Ranging between 66-266 sqm in area, each suite is reputed to be the most spacious in its category in the city. At lebua, we believe in going the extra mile at every crossroad. Our 357 Luxury suites take pride of place within the prestigious 67-storey State Tower in Bangkok. High-speed elevators waste no time in taking you to the luxuriously appointed suites or our Conde Nast renowned Dome restaurants. Unique features set the standards rather than follow others. The finest quality 330 thread count cotton sheets and feather mat beds in all suites. Upon special request, our Conde′ Nast Traveler awarded Chefs from The Dome will prepare a meal in your suite to make parties and events that much more memorable. Our in-suite menu selection is offered from The Dome, where our award- winning fine dining restaurants, Sirocco, Mezzaluna and Distil, congregate. 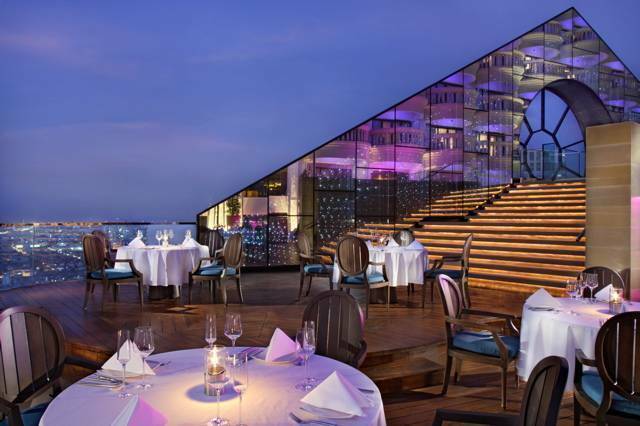 Dress code is an important tradition at The DOME at lebua. We appreciate the appropriate “Smart Casual” attire and footwear in our restaurants and bars area. Please refrain from wearing slippers, sandals, slippers and flip flops (for gentlemen, shoes should be fully covered), athletic or sport uniform, ripped clothing, shorts and sleeveless T-shirts for gentlemen. Suite balcony doors will be unlocked upon personal request provided all guests are at least 14 years old. A Balcony Usage Form must be signed upon check-in. For some people, business is work. For others its pure pleasure. 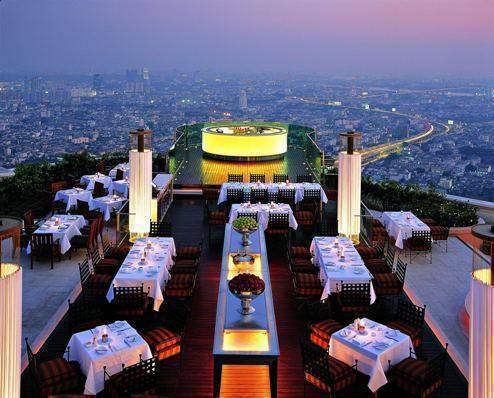 lebua also understands that business takes center-stage in todays world. To take the stress away from a competitive work environment, lebua is equipped with a full range of state-of-the-art facilities such as Broadband Internet, personalized secretarial and administrative support, message/mail/postal services and conference rooms of varying sizes. The Business Center is operative daily from 7. 30 am to 8. 00 pm., and is dedicated to enable every executive keep abreast of the times. For some fitness ends with the body. For others, it ends with the soul. A range of facilities include a fully equipped gymnasium with cardiovascular and resistance machines, free weights and dumbbells, elegant sauna and steam rooms, swimming pool, Jacuzzi and massage rooms. The open-air swimming pool winding around the far corner of the property promises privacy and deep relaxation with Jacuzzi jet nozzles around the edges that lightly ease pressure points. The Fitness Centre is open daily from 6. 00 am to 10. 00 pm. Superior suite Balcony at lebua is a spacious 66 m2 suite with a well appointed bedroom, sitting area and a large four fixtures bathroom. The beds are feather soft and there is ample room for work or relaxation in the living area. Enjoy breathtaking view of Bangkok through a white elegant balcony from your bedroom. Riverview Suite Balcony at lebua offers the very best views of Bangkok's lifeline - its famed Chao Phraya River. Enjoy the refreshing morning breeze of Bangkok from the balcony of your room. The suite provides a wonderful sense of space dressed in contemporary decor and soft furnishings. Its exclusive features include a sumptuous bedroom and a lavish bathroom with luxurious amenities. Full non refundable deposit is required for the Early Bird booking "Book Now & Save" Promotion. No changes and cancellations are allowed. Please advise the credit card and expiry to process the payment immediately for only the Early Bird bookings. New Year Cancellation Policy 2013. * Minimum 3 consecutive night stay is required on the nights of 30 and 31 Dec 2013. * Any cancellation or amendment of the bookings that covers the stay period of 30 Dec 13 – 1 Jan 14 inclusive can be made within 7 Dec 2013 inclusive without penalty fee. * A full deposit for all bookings, with the stay period overlapping the nights of 30 Dec 13 – 1 Jan 14, is required to be received on 7 Dec 2013; otherwise, the room reservation will be released automatically. * Any cancellation made from 8 Dec 2013 onwards (for the bookings with stay period overlapping the nights of 30 Dec 13 – 1 Jan 14), full penalty fee will be applied for cancellation or no show and no refund will be made. The full deposit will be forfeited. * Bookings made from 8 Dec 2013 with the stay period overlapping the nights of 30 Dec 13 - 1 Jan 14 onwards will have to be prepaid immediately in full in order to confirm the reservation and this full prepayment is non refundable. 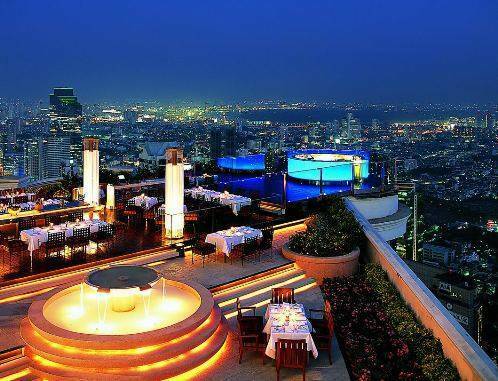 Located next to the Chao Phraya River on one of Bangkok's major thoroughfares, Silom Road, the lebua at State Tower hotel is only minutes from commercial areas and the local BTS station and 40-minute by car from Bangkok Suvarnabhumi airport. Expressway: From Suvarnabhumi Airport, take the Motorway to the Expressway, Silom Exit and turn right on to Silom Road. The hotel is next to Lerd Sin Hospital. Time: 7. 00 a. m. to 5. 00 p. m. (every 30 minutes). Car park: B1-B6 and 5th -11th Fl.